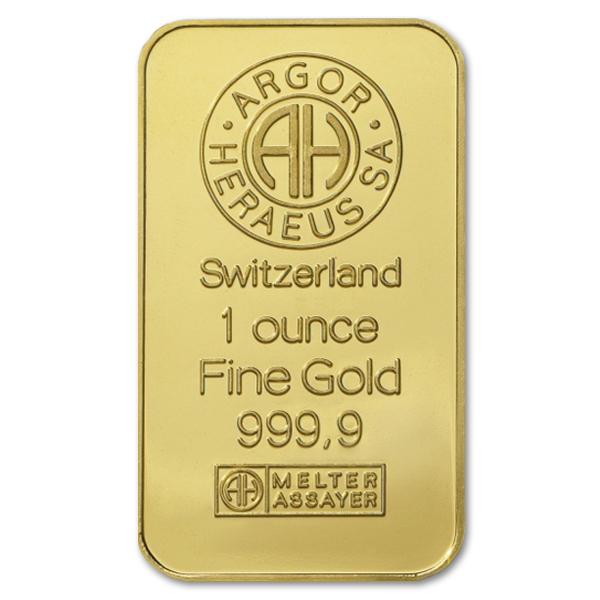 Selecting the perfect first gold bar for your precious metals investment portfolio can be tricky. 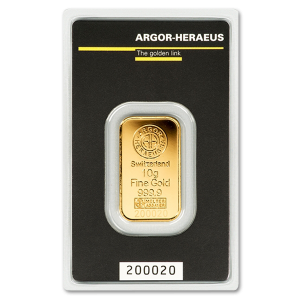 There’s a lot of different ways to buy gold bars online, but when first dipping your toes in it can be intimidating to see these big 1oz and larger pieces. 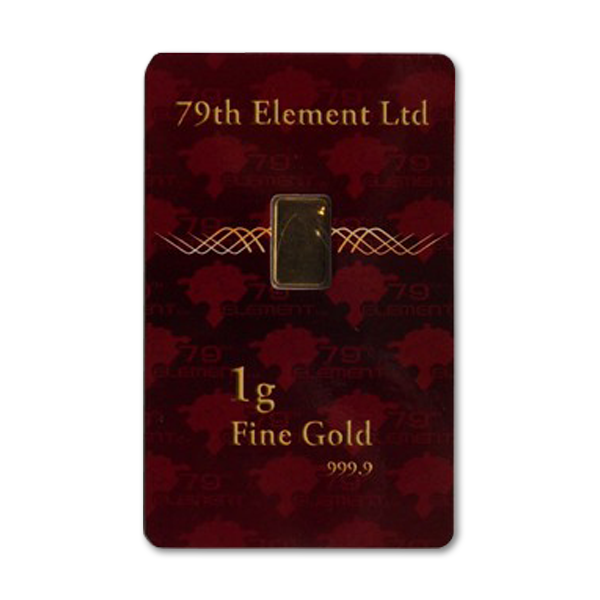 That’s why we carry this beautiful 79th Element 1 gram gold bullion bar, just enough to give you a taste of the world of gold investment, yet inexpensive enough to make it easy to get started. 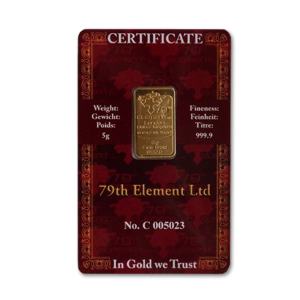 It’s a small investment to be sure, but for an investment in a gold bar, price is something to consider, and this piece is priced to be a great started piece for your investment, or a gift to someone who’s just starting out on their gold investment ventures. Have a friend who’s just graduated from college? Maybe it’s time to help them secure their future in other ways than education. Is there a couple in your life just taking the big step to matrimony? Nothing builds the foundation of their future children’s college fund like gold. 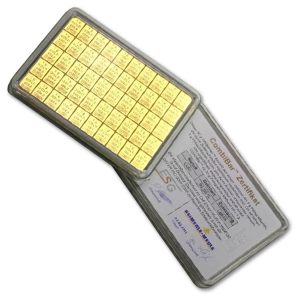 Whether you buy gold with bitcoin or prefer more traditional methods like credit or Paypal, this gold bar is the perfect choice. Gold bars are an example of simplistic beauty and value, and while they lack the intricate art of bullion coins, they contain their own grade of unaffected charm and craftsmanship. 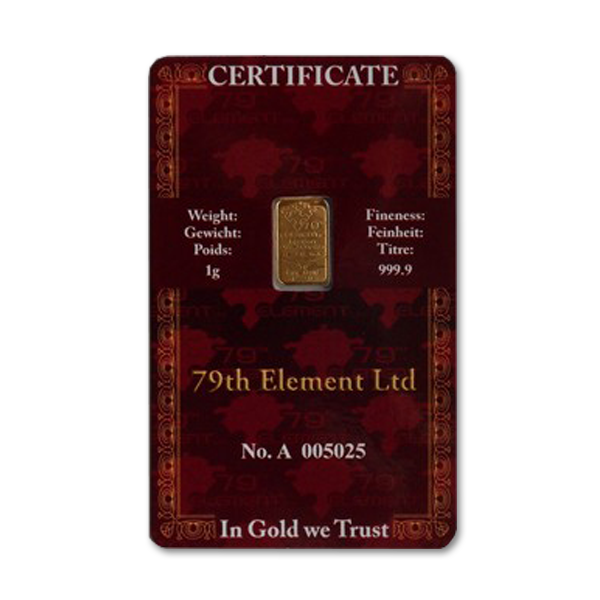 This piece comes marked with the 79th Element logo, engraved delicately into the obverse surface along with indications of its weight, purity, and the words “London, United Kingdom, In Gold We Trust.” A simply beautiful gold bullion in its natural form. 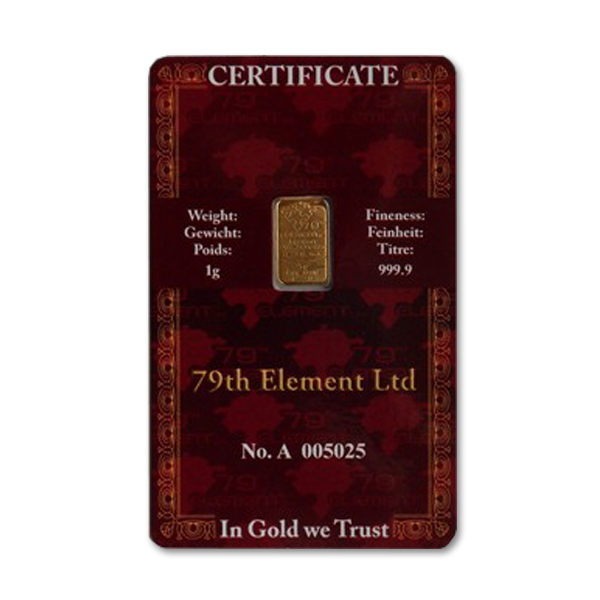 You want to place your investment with a company that has a strong reputation for authenticity and trustworthiness, and that’s what makes 79th Element perfect for your first investment. With multiple offices throughout the European Union, purchases of gold and silver with us are free from any customs duty. We take your investment and security seriously, which is why we work with Brinks and their partner UPS to ensure that your precious metal investment gets to you safely and when you expect it. To ensure that we provide you with the highest security possible we film the packing of any order placed with us, and the unpacking of any parcels received. With steps like these adding 79th Element to your glove investment family is just good sense.